These are exceptionally pretty boards, amazing color and depth. 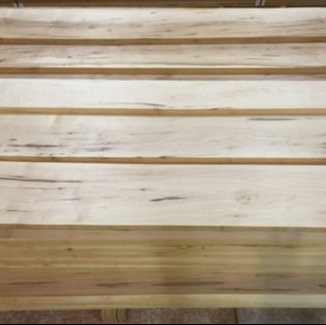 This lumber is sawn from veneer and select quality logs and the lumber is amazing. Very rare. Amazing grain, some curly, some birds eye. It takes a lot of logs to find one with some of this type of grain.